This comparison probably isn’t very close. 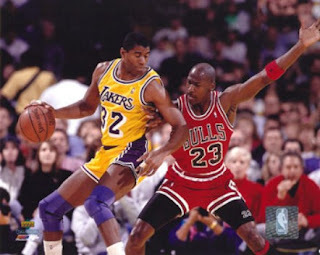 Magic was the best PG to lace up the sneakers (and this coming from a huge John Stockton fan). He and Bird essentially reinvented and reinvigorated the game of basketball in the NBA. In particular, Magic brought a new version of the fastbreak which had its own name…Showtime. Kidd has been a Magic Johnson prodigy…a pass-first PG who loves the fastbreak and distributing the ball. Kidd has become ‘one of the top 5 PGs’ of all-time, yet definitely peaked 4-5 years ago. To his credit, Kidd has been a solid team leader for the Redeem Team. Michael and Kobe will forever be compared to one another. Kobe is arguably the best player in the world right now. He’s got the complete overall game and owns an incredibly accurate jumper and 3-point shot (perhaps better than Jordan). Kobe has become a great defender for Team USA. BUT, we’re comparing him to the best player ever. Jordan sits alone on his pedestal of greatness. He’s THE BEST EVER. No one can match his competitiveness, focus, drive and ability. Until Kobe wins rings without Shaq around, he’ll be looking upward towards the MAN. 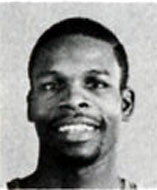 Charles was perhaps the best rebounder ever. People didn’t call him the ‘Round Mound of Rebound’ for nothing. 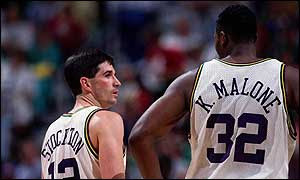 By the time he played for the Suns, he had an unreal all-around game…shooting, scoring, rebounding, passing. He was powerful! Carmelo can score with the best of ‘em, but he doesn’t do much else. He deserves his star-status, but he doesn’t match up to the Chuck-ster. Ewing owns the advantage over Dwight Howard. He was an immensely skilled and powerful center. He was tough to stop in the post. Howard may be considered the most athletic center to play hoops, but his skills don’t match up to Patrick Ewing. For a Jazz fan, this comparison is intriguing. Stockton is our legend, our hero. In ’92, he was close to playing his best basketball. He holds the all-time assists and steals record. 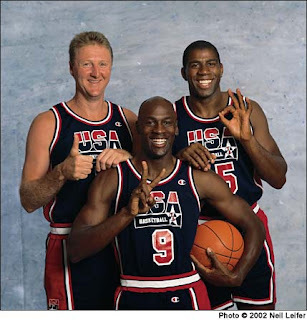 He was the best point-guard at “setting the table” for his teammates…perfect fit for the Dream Team. Deron (I believe) is on his way to greatness. He’s also a perfect fit for the Redeem Team…unselfish, great passer and outside shooter. Every team needs a good passer. I believe this is the best comparison of all. Talk about similar players with similar abilities. Clyde the Glide was smooth and acrobatic. Wade might be the better ball-handler and defender. Wade played tremendous ball during the Olympics (perhaps considered the MVP). He’s been utterly amazing for the US…bringing back his Miami Heat championship form. Not even close. Pippen was a superstar defender and athletic full court player. He was a fantastic role player for the Dream Team. Pippen might actually compare favorably to LeBron. Tayshaun’s solid, but nothing spectacular. 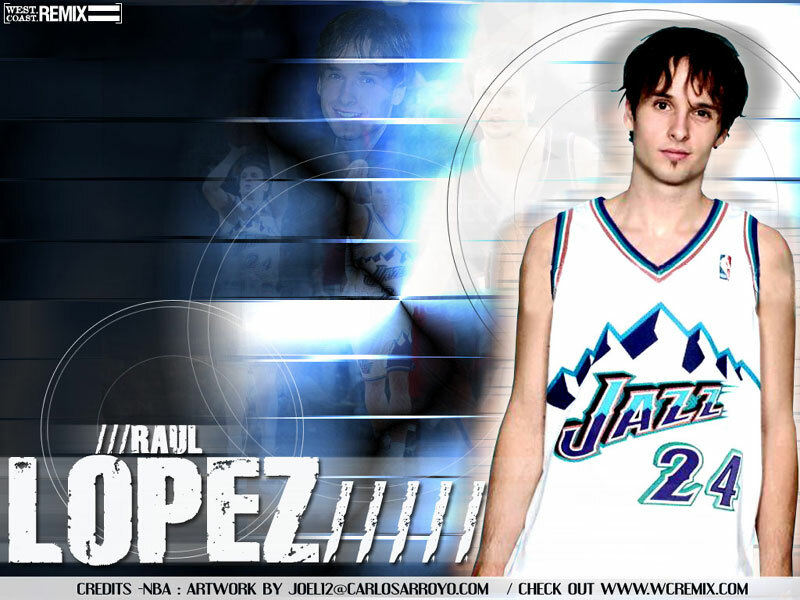 Our second Jazz player comparison falls far shorter than the first one. The Mailman was a legend, an icon, a franchise carrier. He was unreal running the floor, playing the post, rebounding defending and scoring the ball. Unreal! A better comparison for Malone might be Amare Stoudamire. Boozer is a very good player with an impressive, offensive post game. That’s about where the comparison ends. Two lanky post players who play left-handed in the paint. Robinson was plain and simply better. Bosh is young and still has time, but doesn’t possess the strength that Robinson had. Michael Redd is a poor man’s version of Chris Mullin. Mullin’s shot ranks as one of the best ever. Redd shoots it well, but not at Mullin's standard. We can all agree that this comparison should have been Isaiah Thomas and Chris Paul. 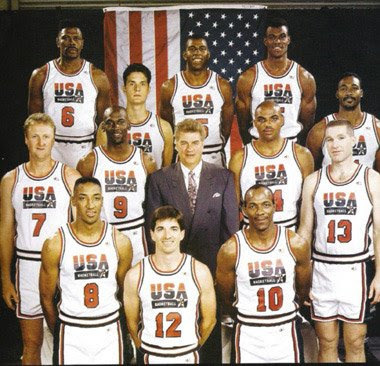 Can you believe Christian Laettner was on the Dream Team? But "athletically" speaking, I think LeBron is the best Athlete in the world, much better than Kobe. What Kobe has on LeBron is shooting. But pure athletics? LeBron is a FREAK! you forgot about Chuck Daley vs. Mike Krzyekziskziksizki. Great summary. It is amazing how much talent that original team had, even if some players (Bird) were past their primes. It's hard to compare the coaches, when Daly just had to roll out the balls and hope no one on Angola got run over, while Coach K actually had to prepare for games. Quite useful data, thank you for this article.